Today Great Yarmouth is known as a popular seaside resort - famous for its promenade and its Pleasure Beach. However, historically, Yarmouth was a strategically important port controlling the entrances to the rivers Bure, Yare and Waveney. (The Bure enters the town from the north while the Yare and Waveney converge from the south through Breydon Water.) In the 19th Century Yarmouth was also an important herring port - where tons of the 'silver darling' were landed. In 1724, Defoe visited Yarmouth as part of his Tour Through the Whole Island of Great Britain and was very impressed by what he saw. He was quick to appreciate the town's geographical location and how it controlled Norwich's access to the North Sea. Great Yarmouth also provides the starting point for Robinson Crusoe's journey in Defoe's famous adventure story. The eponymous hero is anchored in Yarmouth Roads awaiting a favourable wind. The Yarmouth Roads is a stretch of (usually) safe water which lies just off the coast - slightly inshore of Scroby Sands. After leaving Yarmouth Roads, Crusoe's ship is then wrecked in a storm off Winterton but he makes it to the shore in a lifeboat and then walks back to Yarmouth. Robinson Crusoe was published in 1719 is often regarded as the first English novel. 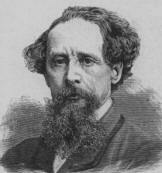 Charles Dickens visited Great Yarmouth in 1849 - staying at the Royal Hotel on Waterloo Road. He only stayed for two days but the place must have made a big impression on him for he was soon to use it as the main setting for his semi-autobiographical novel David Copperfield. An upturned boat on the beach, used as a house, almost certainly provided the inspiration for Peggotty's house. I looked in all directions, as far as I could stare over the wilderness, and away at the sea, and away at the river, but no house could <i>I</i> make out. There was a black barge, or some kind of superannuated boat, not far off, high and dry on the ground, with an iron funnel sticking out of it for a chimney and smoking very cosily; but nothing else in the way of habitation that was visible to me. David Copperfield was born at Blundeston(e) which lies just over the border in Suffolk. In 1599, the Lowestoft born poet and dramatist Thomas Nashe had to leave London following the publication of The Isle of Dogs. 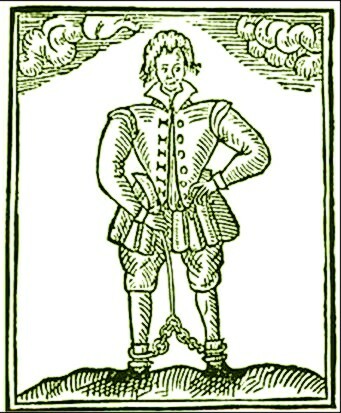 Nashe had collaborated with Ben Jonson on the writing of this satirical comedy. Anna Sewell - the authoress of Black Beauty - was born in Great Yarmouth at this house on Church Plain in 1820. However, she didn't write the book until she was 57 years old and living in Old Catton near Norwich. She only wrote one book during her lifetime, but it has remained a children's classic ever since. The house is now used as a restaurant. 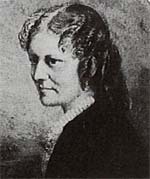 Anna Sewell died shortly after Black Beauty was published and she was buried in the graveyard of the Quaker Chapel at Lamas. David Service was born in Scotland but moved to Yarmouth where he worked as a shoemaker in Row 27. One of his early poems (The Caledonian Herd Boy) caught the eye of the eminent physician Dr Thomas Girdlestone who introduced him to influential friends - which kick-started his career. Service then wrote a poem about the death of Princess Charlotte - who had died in childbirth - and also an ode to local mathematician Adam Glendenning - which further enhanced his reputation. However, he was unable to handle the fame and the money and soon became destitute - owing large amounts of money. He was finally put in the stocks in Yarmouth market place. In 1822, though, he reappeared publishing A Tour in Pursuit of Ideas - which was an odyssey round the taverns and inns of Yarmouth. The poem was an instant success and Service was once again 'in the money'. Unfortunately, he soon squandered the new income and this time was consigned to the workhouse. He died aged 52 and is buried in St. Nicholas' churchyard. Also buried in the churchyard are many of the victims of the 1845 Yarmouth suspension bridge disaster. The bridge collapse, which cost the lives of 77 people, is depicted on some of the headstones. The travel writer and novelist lived at 169 King Street from 1853-55 (where he completed Romany Rye) and then at 37-9 Camperdown Place from 1856-9 - now an hotel. Borrow, who was an energetic person, loved to bath in the sea while living in the town. 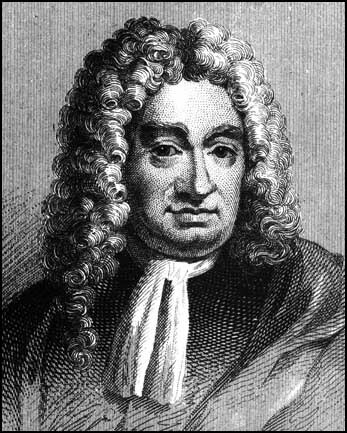 Borrow's main influence was undoubtedly Daniel Defoe - who also has connections with Yarmouth - see above. Breydon Water was also the stamping ground of the Norfolk naturalist Arthur H Patterson who inspired Ted Ellis - another Norfolk naturalist.